Oracles of Science — Karl Giberson, Phd. Biologists Stephen Jay Gould, Richard Dawkins, and Edward O. Wilson, and physicists Carl Sagan, Stephen Hawking, and Steven Weinberg have become public intellectuals, articulating a much larger vision for science and what role it should play in the modern worldview. The scientific prestige and literary eloquence of each of these great thinkers combine to transform them into what can only be called oracles of science. Curiously, the leading "oracles of science" are predominantly secular in ways that don't reflect the distribution of religious beliefs within the scientific community. Many of them are even hostile to religion, creating a false impression that science as a whole is incompatible with religion. 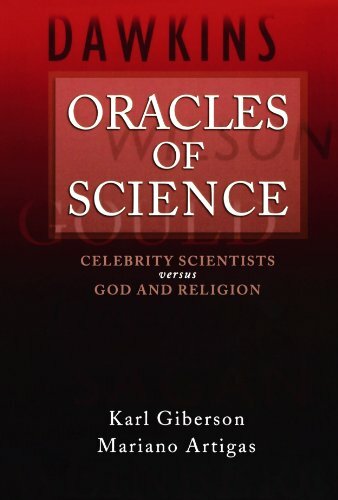 Karl Giberson and Mariano Artigas offer an informed analysis of the views of these six scientists, carefully distinguishing science from philosophy and religion in the writings of the oracles.